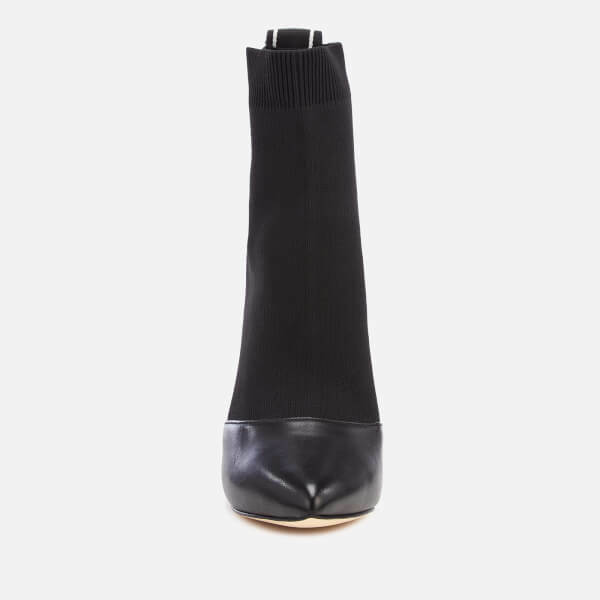 Black heeled sock boots from MICHAEL MICHAEL KORS. Presented with a lightweight stretch knit upper, the ‘Vicky’ boots feature a ribbed cuff, a pointed faux leather toe and a heel pull tab for easy on and off. 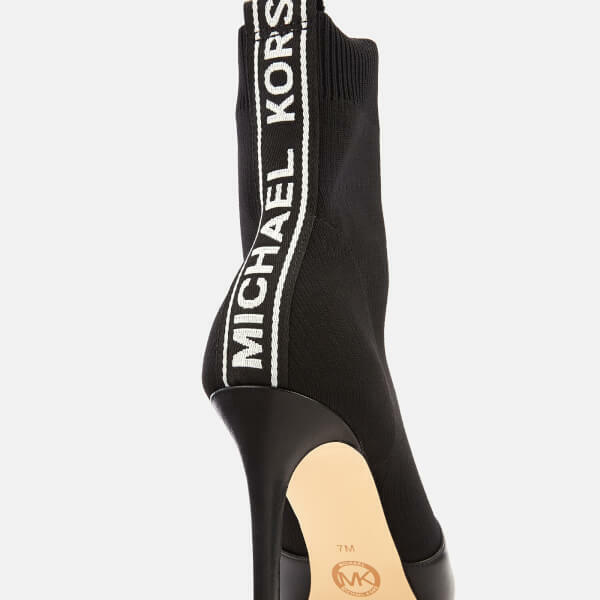 Set upon a slim stiletto heel for added height, the shoes are completed with a contrasting logo tape. Upper: Polyester. Lining: Synthetic. Sole: Rubber.